Home » Professional Development » T-SQL Tuesday #028 – Jack of All Trades, Master of None? Every month the folks of the SQL Server community get together for a virtual block party of sorts called T-SQL Tuesday. This month’s party is being hosted by Argenis Fernandez (b|t). The topic: specialization. 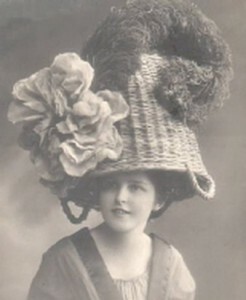 Some folks wear many hats within an organization, others wear only one (off to the side a bit, in a jaunty manner). Argenis wants to know whether you specialize in a certain area, what that area is, and whether or not you’ve found that to be a good thing. So I moved on and became an Informix DBA for my current employer. And then an Oracle DBA. And then a SQL Server DBA. For the past 8 or 9 years that’s what I’ve been doing: SQL Server. In my opinion, it’s been a good thing. Unfortunately, I’ve forgotten most of what I knew about Informix databases and my Oracle skills have gotten rusty. Part of me regrets that and sometimes I think I should spend a week or so immersing myself in our last lingering Oracle database while I still can. But I realize that the opportunity to focus my attention entirely on one product has allowed me to learn so much more than I would have otherwise. Now when when things are quiet at work I can play with new features, read up on internals, think about new ways to do old tasks. Sometimes I wish I new more about other aspects of IT that affect my systems. If I were a DBA/SysAdmin/SAN Admin, I’d have a better understanding of the big picture (and I’d get my disk requests faster). But I don’t think I’d know about any one of those things with much depth. I just don’t think I’d have the time. Both ways have their advantages, and certainly even the most specialized DBA should have a working knowledge of hardware, operating systems, networking, SANs. Databases don’t run in a vacuum; all of these components play a part. But in my opinion, there comes a time, for the sake of your career, when you have to say “I am a DBA” or even “I am a SQL Server DBA.” and really be the DBA. So that’s the hat I wear. Jauntily. Testing backups - Is RESTORE DATABASE...VERIFYONLY good enough?